Defined by the unforgettable Luigi Veronelli as “an ‘Alsaziano’ di Pantelleria”, a flattering but precise judgement. Kuddia del Gallo is in fact quite unusual on the Sicilian wine scene, it does in fact fulfill that enological philosophy dear to us: Mediterranean wines… ‘on the contrary,’ vines from the north made in the deep south. 70% Zibibbo (Moscato d’Alessandria), 30% Viognier provide the peerfect balance between residual sugar and alcohol content. Rich, well balanced, mellow and full. From Carignano, Grenache and Syrah grapes. 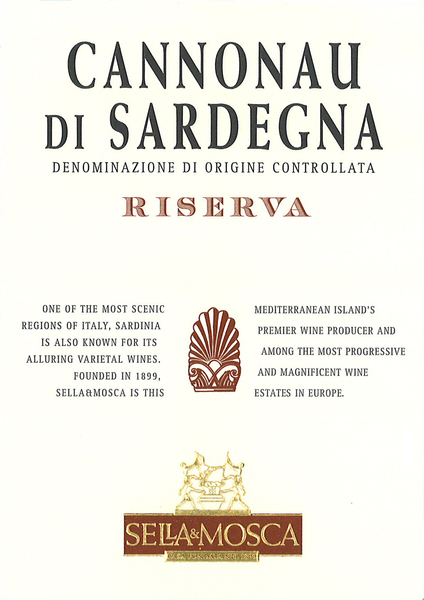 A wine that has renewed the French tradition of Pantelleria since its vines were implanted during the French colonization. (Think Chateneufdu Pape). From the Mondeuse dell’Alta Savoia (the French wine much appreciate by Stendhal in Grenoble) a clone was selected which then placed the vine among two of the most famous Italian grapes (Nero d’Avola and the Nebbiola). Uniquely Pantelleria Nero d’Avola. With ripe notes of dried fruit, apricot and raisins, this is an intense and beautiful Passito di Pantelleria that ranks among the top wines of its category. Made with fragrant Zibibbo grapes (Moscatello d’Alessandria), the wine opens with a luminous amber color and offers a rich, creamy feel. 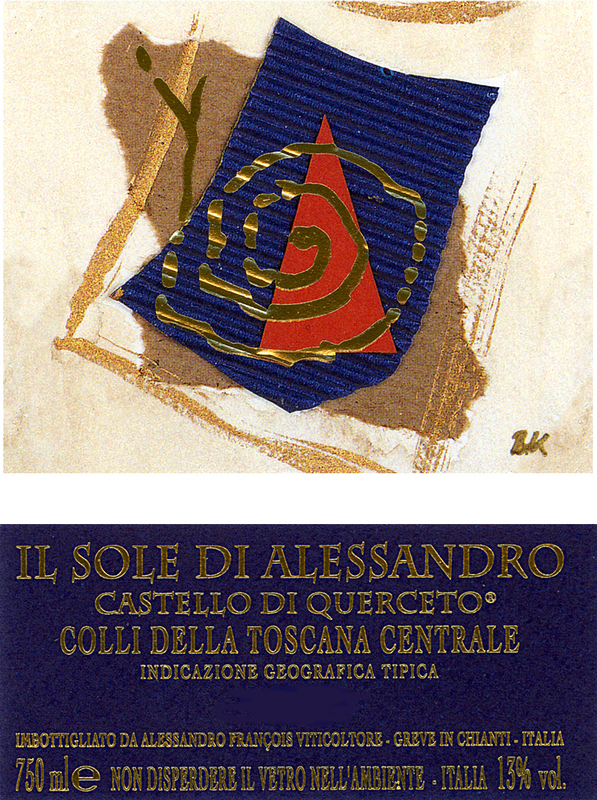 Production: Production techniques, wine making knowledge and quality of grape are the meeting point from which Asti DOCG comes to life. The Must: The white Muscat, produced in the 52 authorized communes, is sent to the presses immediately after harvesting and transformed into must. The grapes are partially crushed then fully pressed with bladder presses;the resulting must is refrigerated at a low temperature to prevent undesired fermentation and kept in refrigerated cells until fermentation begins. Fermentation: In the successive phases of processing the Asti DOCG, the conserved must is fermented: the refrigerated must is brought to a temperature of nearly 20 degrees Celsius, and alcohol fermentation is then started through selected yeast with special characteristics. Bottling: When fermentation has stopped and after the interventions of refining, the bottling commences. This takes place in the absolutely sterile microbiological conditions required to correctly conserve sweet sparkling wines. 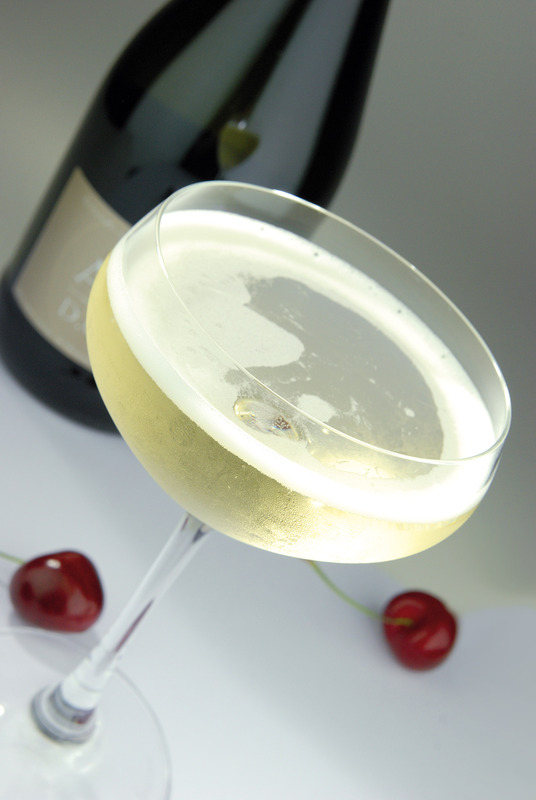 The resulting Asti DOCG thus produced contains all the characteristics of the white Muscat grape, as well as the exuberance and vivacity of sweet sparkling wine, elegant and an-substitutable. Wonderfully rich and mellow with a spicy, nutty aroma and taste. In a class by itself. 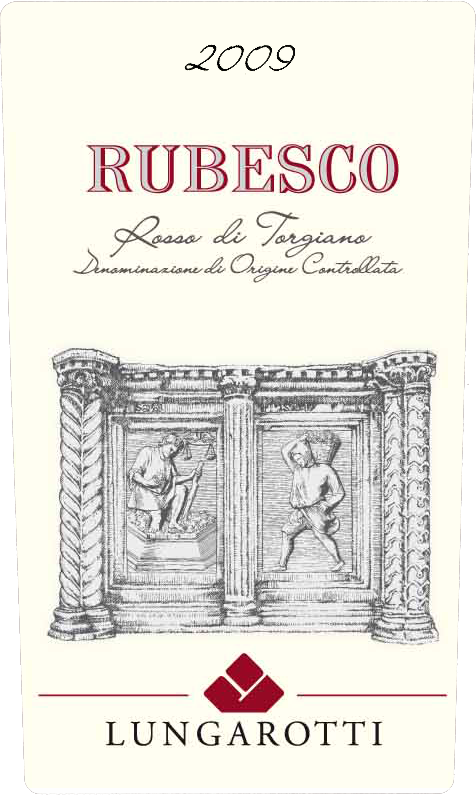 An outstanding red wine that highlights the virtues of the ripasso winemaking technique. Sweet scents of elder and pear tree flowers followed by ripe apricots, pineapple and melon. 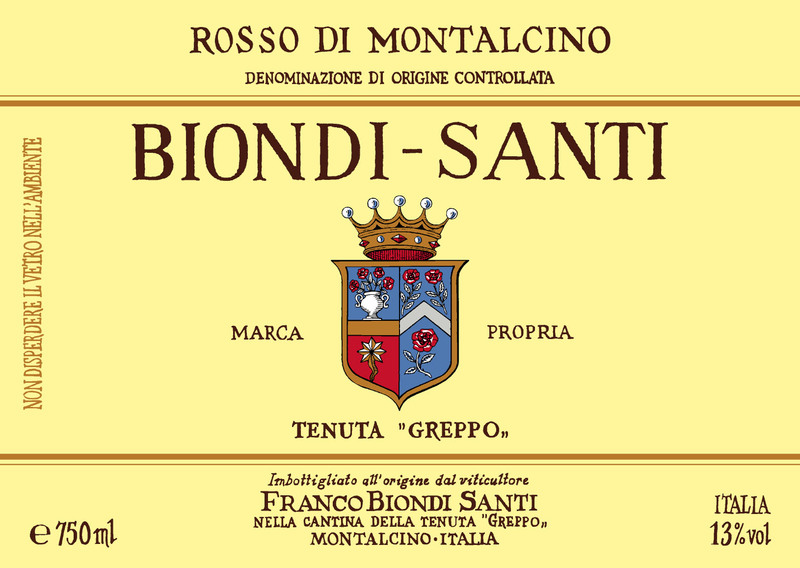 A new fresh round and dynamic Sangiovese from the great Biondi Santi tradition. Sassoalloro is the name of a gigantic erratic rock of volcanic origin which for centuries has given rise to many legends. Very good harvest at Il Greppo. Spring with a rainy June, but with a dry July and August. September was cold and dry through out the harvest, which began on September 17th. The grapes were healthy, ripe, rich in colour with thick skins. The must was rich in sugar, extracts, and acidity. Vinification in red under controlled temperature, the wine was drawn off after 15 days. Produced with Sangiovese Grosso vines of Il Greppo, which are younger than 10 years old. The wine aged for 12 months in Slavonian oak barrels. Uncork, remove a small amount of wine from the bottle and allow to aerate for at least 1 hour before serving. 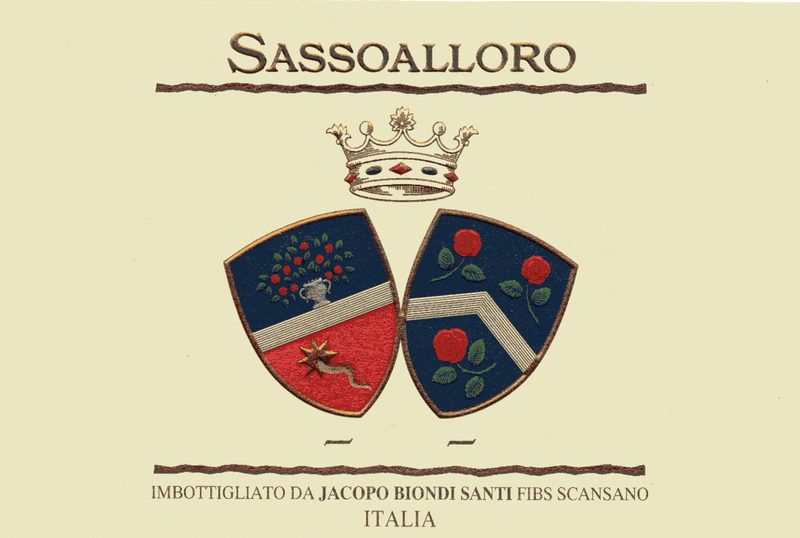 From the splendid and untained nature of Castello di Montepò comes this new wine of Jacopo Biondi Santi : a subtle balance between the austerity of traditional Sangiovese BBSS11 and the roundness of Merlot, perfectly adapted to the Maremma. Exceptional harvest Il Greppo. Winter and Spring were cold and rainy. July and August dry and hot with rains at regular intervals. September very dry and with considerable temperature range. The Harvest started on September 10th and the weather was cold and dry. The grapes were healthy and ripe with thick skins and rich in color. The must was rich in sugar, extracts and acidity with a medium low pH. Vinification in red under controlled-temperature, the wine drawn off after 15 days. 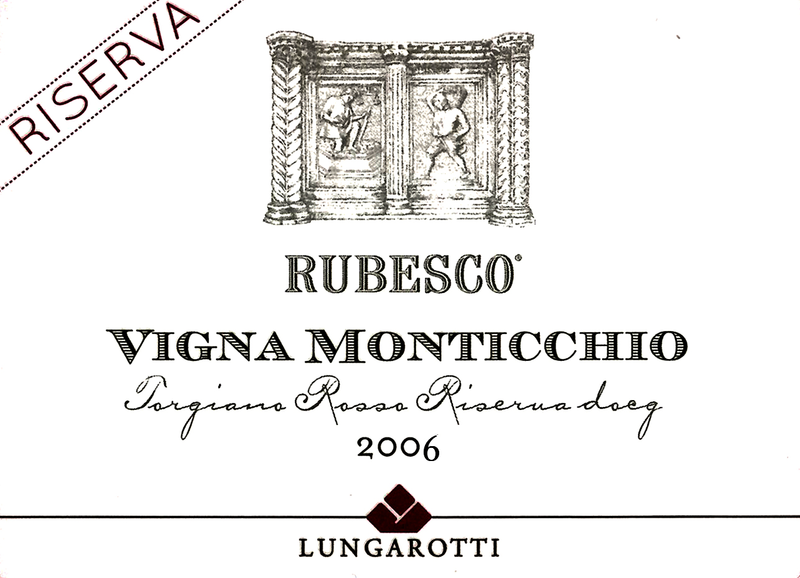 Produced from Sangiovese Grosso vines between 10-25 years of age. Aged in Slavonian oak barrels for 36 months. 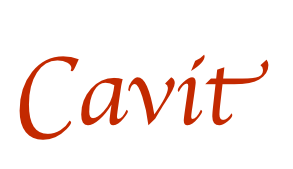 It is the most famous Sardinian native red vine, existing from the fourteenth century A.C. It adapts easily to different climatic inland conditions, and it gives wines with different characteristics that derive from the soil peculiarities. It’s quite vigorous, with medium – size compact clusters, and it is sensitive to coulure (dropping off of young unfertilized grapes flowers). The grape has black purple thin skin. With low resistance to podwery mildew, it is sensitive to oidium and downy mildew. Maturation takes place from the third to fourth week of September. Type: white wine First vintage : 2001 Soil: trachyte, hard volcanic eruptive stone Varietals: Ribolla and Tocai Surface of this plot: 0,6 ha, worked with the principles of natural agriculture Vine training: guyot Density of plants /ha: 9.000 plants/ha Orientation: West Average age of plants: 20 years old Average production per hectare (in wine) : 18-22 hl. Harvest: first half of September; hand harvested in boxes Vinification: cooling of grapes in a freezer cell, after pressing, the must is gravity fed directly to the clay amphorae where the fermentation starts with its own yeasts and no temperature control. Maceration on skins for 6 months, then the skins are removed and the clear wine is returned to the amphorae and left to age for 8 months. Added sulfites below 25 mg.\lt. and no filtration Yearly production (bottles): 2.000 Total sulfites: > 25 mg. per liter. Type: red wine First vintage: 2001 Soil: trachyte, hard volcanic eruptive stone Varietals: Merlot Surface of this plot: 1,2 ha, worked with the principles of natural agriculture Vine training: cordon spur Density of plants /ha: 2.500 plants/ha Orientation: East Average age of plants: 42 years old Average production per hectare (in wine): 20-25 hl. Harvest: second half of September; hand harvested in boxes Vinification: cooling of grapes in a freezer cell, after pressing, the must is gravity fed directly to the open wood vats where the fermentation starts with its own yeasts and no temperature control. Maceration on skins for 4 weeks, then the skins are removed and the clear wine is returned to large oak casks and left to age for 2 years. Added sulfites below 45 mg.\lt. and no filtration Yearly production (bottles): 3.500 Total sulfites: > 45 mg. per liter. Type: red wine First vintage: 1999 Soil: trachyte, hard volcanic eruptive stone Varietals: Sangiovese and Merlot Surface of this plot: 1,4 ha, worked with the principles of natural agriculture Vine training: alberello, cordon spur Density of plants /ha: new plantation 9.000 plants/ha, old plantation 2.500 plants/ha Orientation: East – Southeast Average age of plants : 24 years old Average production per hectare (in wine) : 20-25 hl. Harvest: second half of September; hand harvested in boxes Vinification: cooling of grapes in a freezer cell, after pressing, the must is gravity fed directly to the open wood vats where the fermentation starts with its own yeasts and no temperature control. Maceration on skins for 4 weeks, then the skins are removed and the clear wine is returned to large oak casks and left to age for 2 years. Added sulfites below 45 mg.\lt. and no filtration Yearly production (bottles): 4.000 Total sulfites: > 45 mg. per liter. 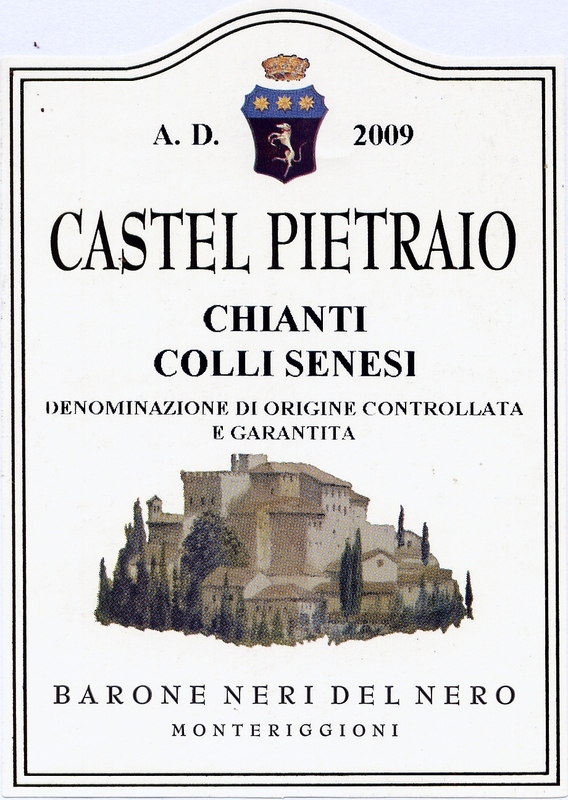 Chianti Castel Pietraio wine is produced from the grapes cultivated in our farm in the most favorably exposed side of the hills, at about 250 metres above the sea level. Its typically fruity flavor, with traces of violet and a light boisè, its soft and rich taste are the result of the particular care we take in all phases of production: from the planting of vineyards to the grapes harvest, to the wine-making until the refining in the bottle. 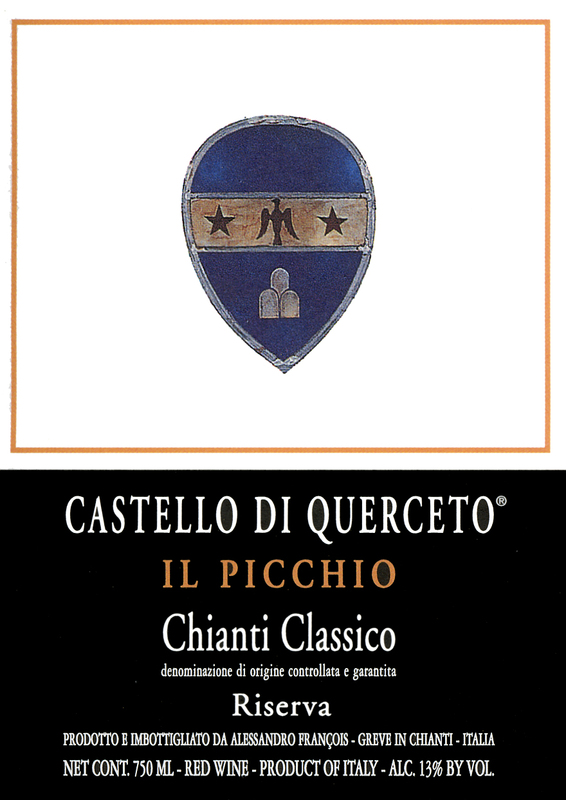 Type of wine: red wine Denomination: Chianti Classico Docg Grape Varieties: Sangiovese 95%, Canaiolo, Canaiolo 5% Alcoholic content: 13,5% Vineyards location: the “Il Picchio” vineyard is faced east south-east from 420 to 450 metres a.s.l. 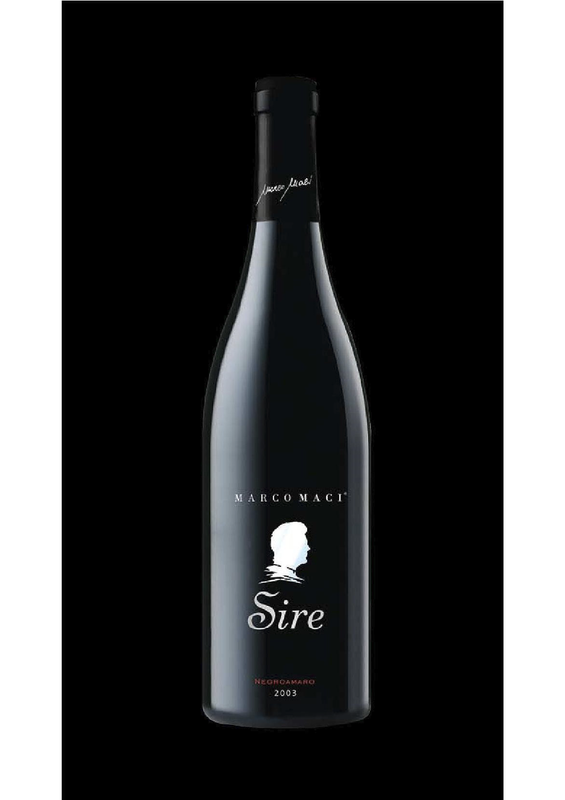 Vineyards age: about 30 years Training system: spurred cordon/Guyot Planting density: 7500/ha Fermentation: 28°C Length of maceration: about 20 days Year of planting: 1983 Year of production: 1988 Maturation: in oak barrels from the forest of Tronçais, Allier and Limousine for 12 months and refinement in bottle for a minimum of 6 months Production: 25.000/30.000 bottles Longevity: 20/25 years Tasting notes: brilliant ruby red, soft balanced, with strong body and forthright character Food matches: roasted meats and seasoned cheese. 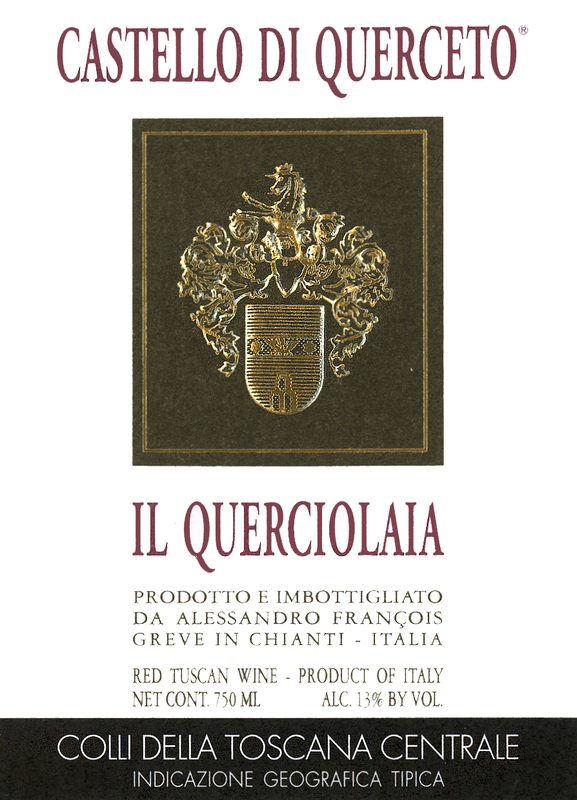 Type of wine: red wine Denomination: Indicazione Geografica Tipica (IGT) Colli della Toscana Centrale Grape varieties: Cabernet Sauvignon 100% Alcoholic content: 13.5% Vineyard location: The “Ischiata” vineyard is faced south from 350 to 380 metres a.s.l. Vineyard age: about 20 years Training system: spurred cordon/Guyot Planting density: 7.500/ha Year of planting: 1995 First year of production: 1998 Fermentation: 28°C Lenght of maceration: about 15 days Maturation: in oak barrels from the forest of Allier, Tronçais and Limousine for 20-24 months and refinement in bottle for a minimum of 6 months Production: 10.000/12.000 bottles Longevity: 20/25 years Tasting notes: intense and balanced ruby red, soft and elegant Food matches: Roast meats, braise, seasoned cheese. Type of wine: red wine Denomination: Indicazione Geografica Tipica (IGT) Colli della Toscana Centrale Grape Varieties: Sangiovese 65%, Cabernet Sauvignon 35% Alcoholic content: 13,5% Vineyard location: the “Querciolaia de’Pitti” vineyard is faced south south-east from 390 to 430 metres a.s.l. Vineyard age: about 30 years Training system: spurred cordon/Guyot Planting density: 7.500/ha Year of planting: 1981 First year of production: 1985 Fermentation: about 20 days Length of maceration: about 20 days Saturation: in oak barrels from the forest of Allier; Tronçais and Limousine for 18/20 months and refinement in bottle for a minimum of 6 months Production: 20.000/25.000 bottles Longevity: 20/25 years Tasting notes: intense and balanced ruby red, full, dry with forthright character with a prolonged impact on the palate Food matches: long cooked meats, roast game, seasoned cheese. Elegantly structured and well balanced, with a crisp, refreshing character and a long finish. Soft, supple tannins and refreshing acidity are beautifully balanced by ripe cherry fruit flavors on the palate. An intense, rich aroma of red berries and spice leads into palate that is soft and balanced, with flavors of cherries and strawberries. The finish is smooth and supple. 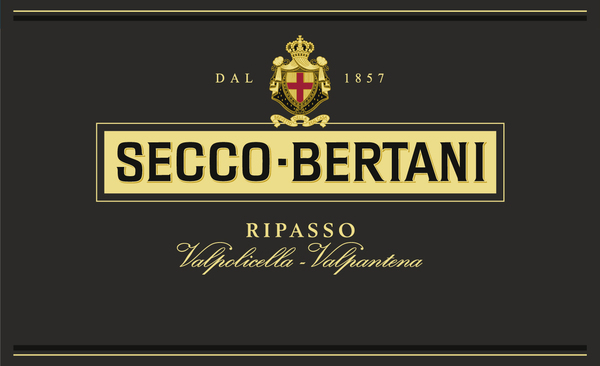 Rich, gold in color, with delicate scents of ripe apricots, apples, fern and mint in the bouquet. Harmonious, with a lively acidity and a long, fruity finish. 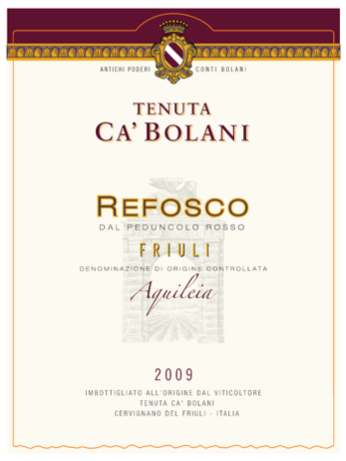 About the Wine: It has been DOCG since 1990 with retroactive recognition from the 1983 harvest. New vigour for a great classic that elegantly speaks the language of balance and harmony. 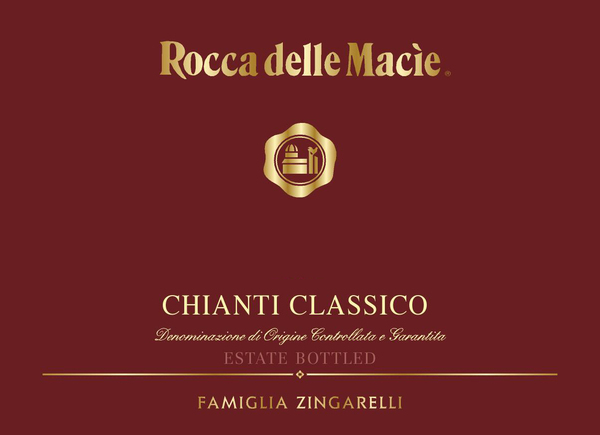 Grapes: 70% Sangiovese and 30% Canaiolo harvested in October. Vinification: fermentation in stainless steel with 15 – 20 days of maceration on skins; wood aging in oak barriques and barrels for about 12 months and following a light filtering; 4 years aging in bottle. Color: ruby red concentrated and intense with purple nuances. Bouquet: elegant and complex, it hints at black cherry and violet, with refined woody notes (cocoa and coffee); the finish is spicy, with pepper and cloves. Flavour: smooth and velvety with solid structure and complex, slightly balsamic fruitiness; lively and pleasantly fresh acidity, intriguing tannins; finish is long, with spicy closing notes. About the wine: a perfect wine for both fine every-day cousine and dishes of haute cousine. A DOC wine since 1968, it is the Lungarotti wine that is most exported world-wide. Grapes: 80% Sangiovese, 10% Canaiolo and 10% Colorino harvested between September and October. Vinification: Stainless steel fermentation with 15 days of skin contact, refined for one year in casks and one in bottle after a light filtration. Color: deep ruby red with slight violet hues. Bouquet: delicate and with good intensity, elegant complexity with hints of pepper, cinnamon and tobacco; background notes of red jam and violet. Flavour: with solid structure and superb concentration, it evolves with fresh acidity; austere, balanced tannins with a fruity and slightly mineral finish. About the wine: A Sagrantino characterized by excellent drinkability, in line with the Lungarotti brand. Grapes: 100% Sagrantino obtained from massal selection and harvest mid-October. Vinification: stainless steel fermentation with skin maceration for 28 days. Wood aging for 12 months in barrique. Light filtering and 18 months in bottle before release on the market at 33 months from harvest. Color: deep and intense ruby red with violet nuances. Bouquet: ample complex, it immediately expresses an ample range of red fruit (black berry, bilberry) with elegant notes of cocoa and sweet spices; in very long and harmonious scents. Flavor: powerful structure with good concentration and freshness of fruit; fragrant acidity and dense, mature tannins, persistent finish. 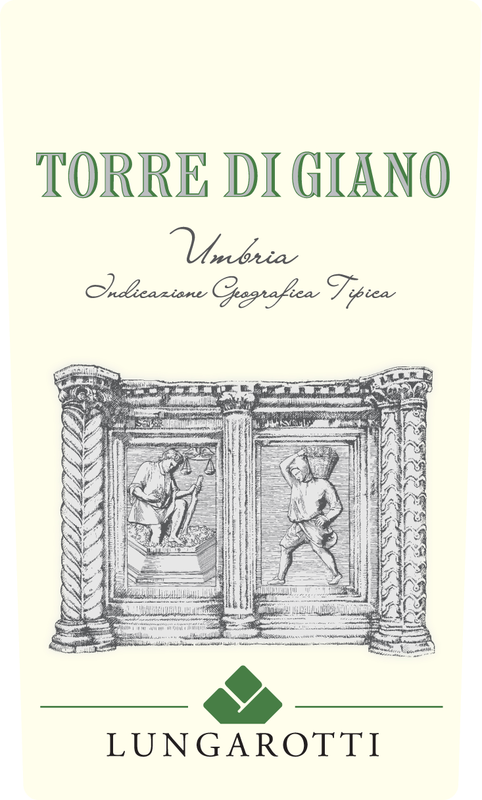 About the wines: The name recalls the Roman origins of Torgiano, testified by the towers dedicated to Janus the double-headed god. Grapes: 40% Vermentino, 35% Trebbiano and 25% Grechetto harvested in September. Vinification: produced exclusively with free-run juice, after brief cryomaceration, it is vinified in stainless steel at low temperature. Color: straw yellow with slight greenish reflections. Bouquet: delicate, with long-lasting hints of white fruit (pear and peach); fragrant and fresh with an almond-like finish. Flavor: dry, with solid structure, elegant initial impact, fresh and fragrant evolution; pleasantly fruity with a pleasant acidic vein and long persistence with a refreshing finish. 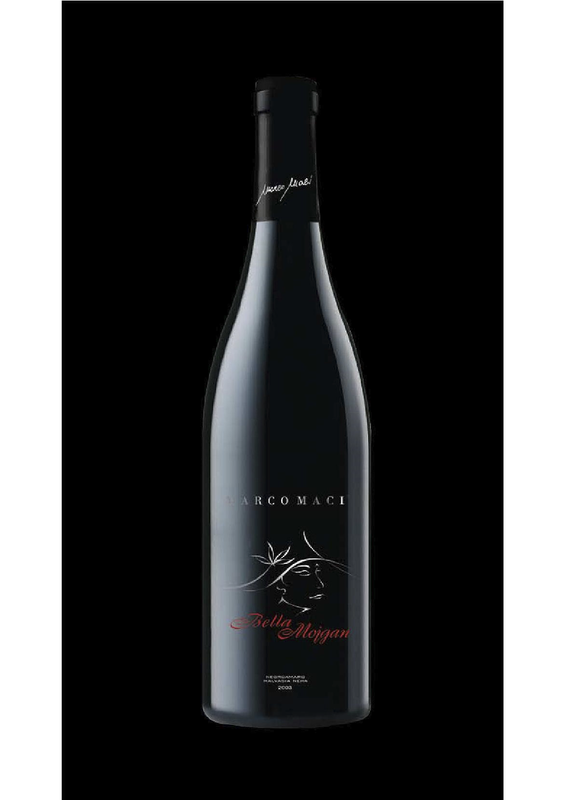 An intensely ruby red wine obtained from 100% Negroamaro grapes, fermented for 12 days through maceration with skin. Refined in 225 litre Atellier French oak barrels for a period of 20 months. Rich scents of forest fruits and vanilla combined with an intense ample and persistent flavor complete its olfactory sensation. This is a perfectly balanced and harmonious wine of a great character, well matching aged cheese and roast red meat. Best served 18 degrees Celsius, uncorking the bottle one hour before tasting. An intensely and lively ruby red wine with purplish nuances. 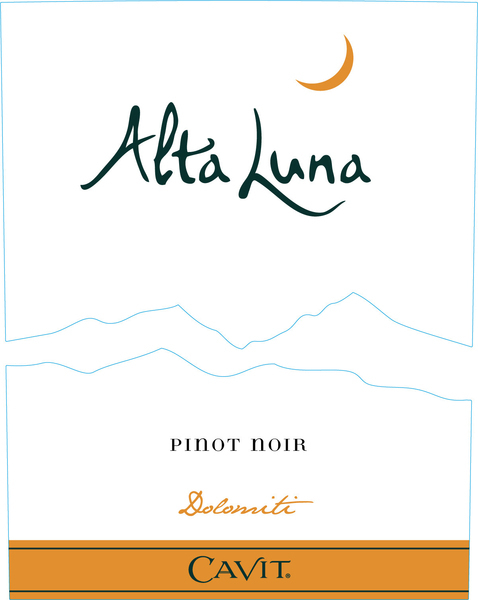 It has a charming, vinous, harmonic aroma and a dry, full-bodied flavor with a velvety, balanced taste. Its soft back-taste is obtained through controlled medium-toasted ageing in French oak barriques for 18 months. This wine can pleasantly accompany a whole meal, particularly matching game and roast meat. Best served at 18-20 degrees Celsius, uncorking the bottle well in advance. 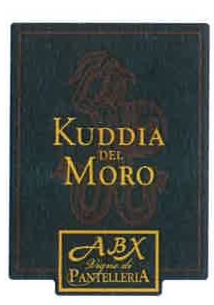 A red wine mainly obtained from Negroamaro grapes, considered as one of the noble products of Salento. Grapes selection, controlled fermentation and ageing in oak barrels for a period of 15 months, all result in the production of an outstanding wine. It has a rich bouquet and great body, while still being caressing to the palate. It well matches tasty recipes. Best served at 20 degrees Celsius. 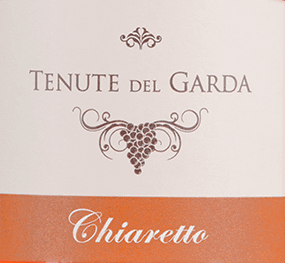 A full-bodied intensely red-colored wine obtained from Primitivo grapes. It has an ample bouquet aroma and dry taste. Best served to match roast meat and cheese at 16-18 degrees Celsius, uncorking the bottle in advance. Soft and smooth on the palate, with flavors of wild blackberries an raspberries; well balanced, with great depth and a long finish. Pleasant yellow peach, jasmine and wet stone notes greet the front palate. Crisp acidity contributes to a bright, lively finish. Mezzacorona Pinot Grigio Riserva: The freshness of this wine is a vivid embodiment of the Dolomites. 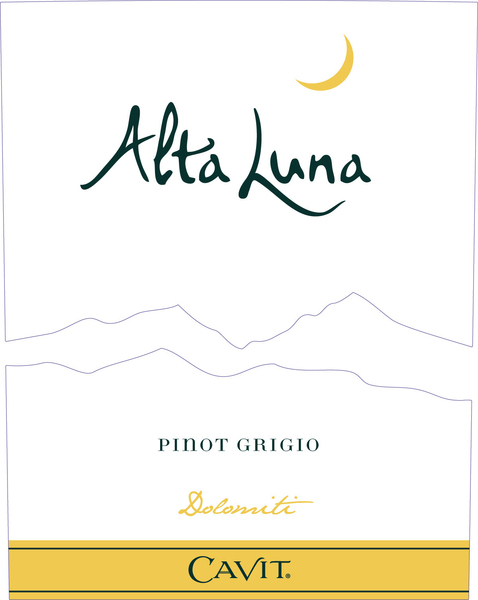 This estate produced Pinot Grigio is cultivated in the hills and deep valleys of the Italian Alps which enjoy the winds that blow up the river valley from Lake Garda. This Pinot Grigio Riserva has a distinct and refined body thanks to the fermentation of part of the wine in oak barrels for 6-8 months. NOS: NOS is the pinnacle of Mezzacorona quality. 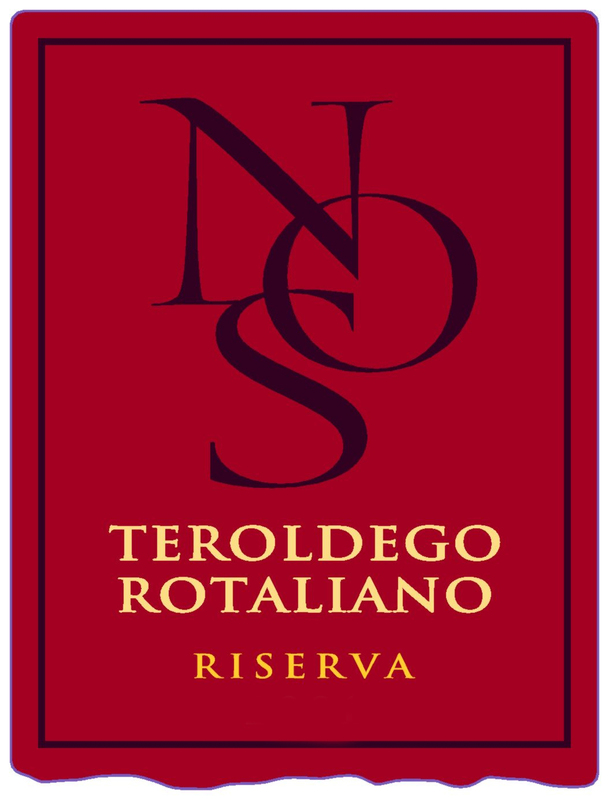 This Teroldego, “the royal wine of Trentino”, is a limited edition wine that is only produced in the very best vintages from hand selected grapes grown in the Piana Rotaliana. Named after the dialect for the Noce River that flows through the valley, NOS is aged for 3 years in oak and a final refinement in bottle for at least 12 months. 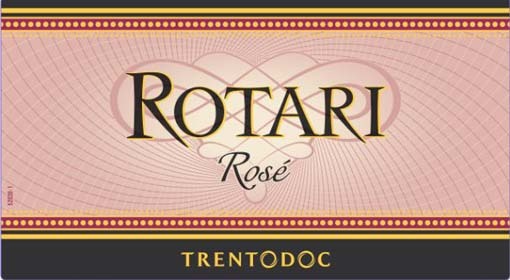 Rotari Rose: The Pinot Noir and brief maceration on the skins gives this wine its suggestive rose color. All grapes are grown in the Adige Valley just north of Trento. 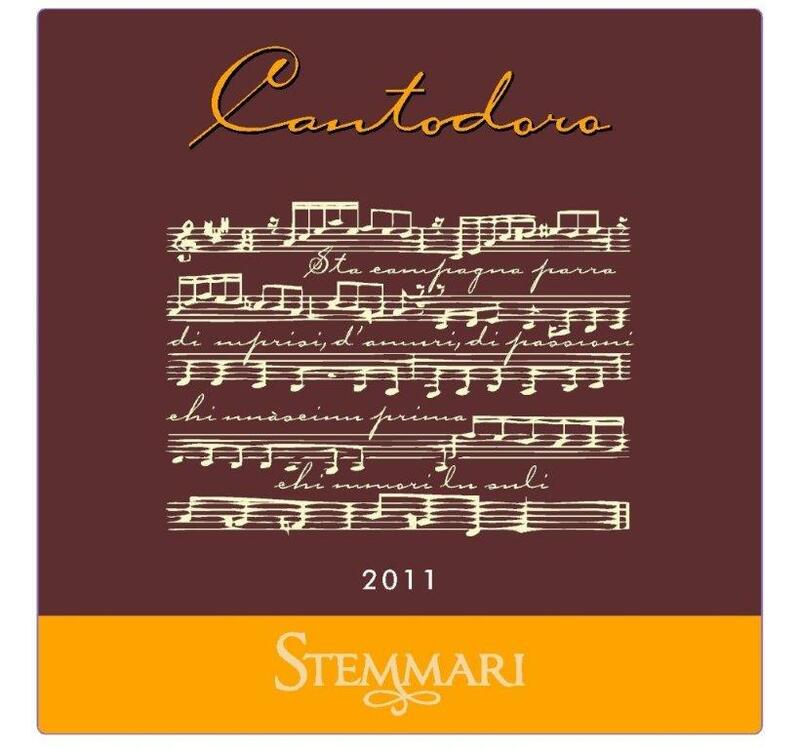 Cantodoro: Selected Nero d’Avola (80%) and Cabernet Sauvignon (20%) are vinified and matured separately in French oak, 8 months and 12 months, respectively. Once blended, the wine is matured an additional 4 months in barriques and then bottle refined for 8 months. This Sicilian red blend offers intense aromas of fresh fruits that lend the wine a distinctive nose. Redcurrant, mulberry, raspberry and cooked prune blend with cocoa and toasted coffee notes for a full finish. A fresh white wine with scents of citrus fruits, lime, bergamot, peach, and white melon. 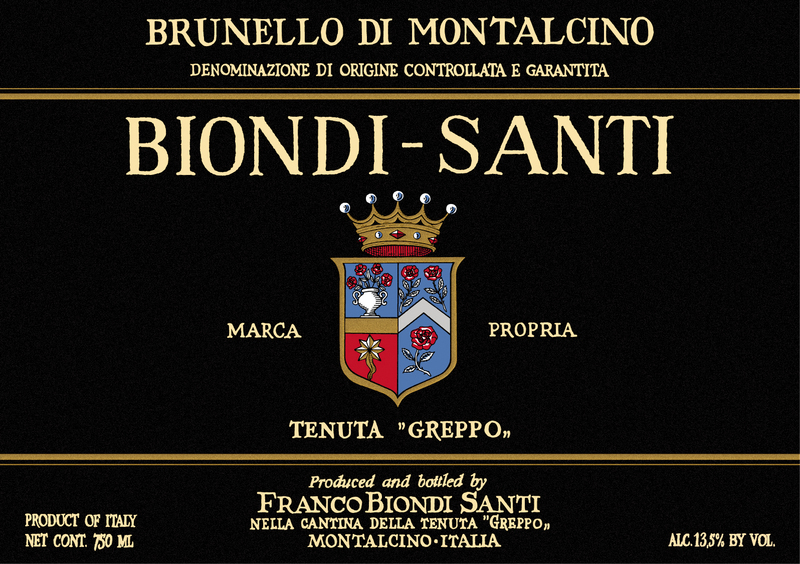 It offers excellent balance between acidity, suppleness and fullness, and the finis is lively and aromatic. 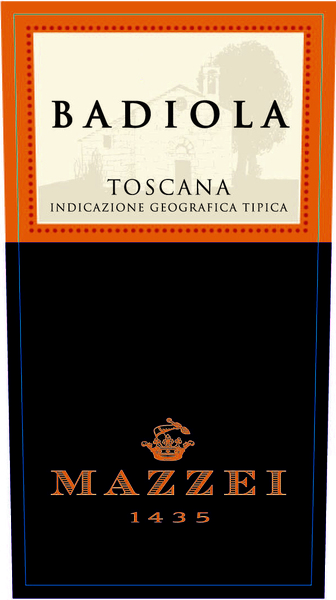 In its quest for quality this top Tuscan estate leaves nothing to chance. 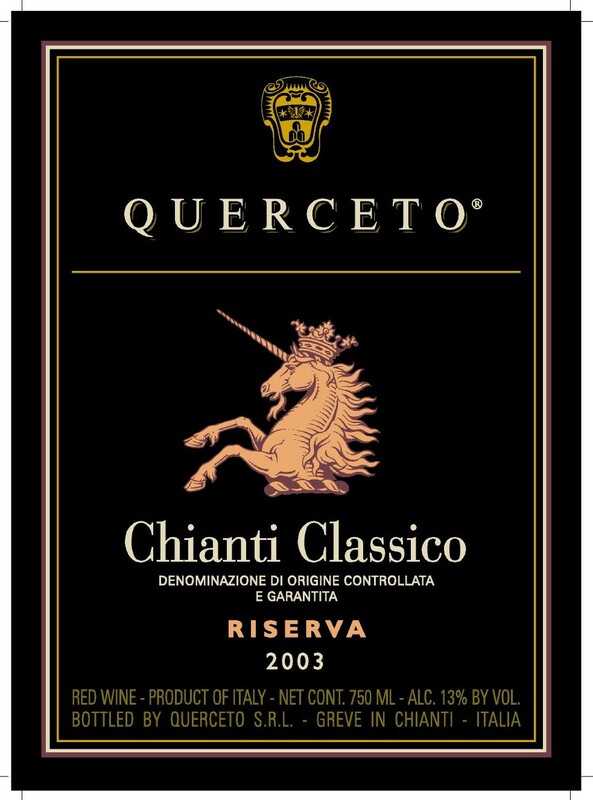 Mature fruit aromas and a richly textured flavor mingle with spectacular effect in this beautifully crafted Chianti Classico. As its name suggests, Sasyr is a singular and sublime blend of sangiovese (60%) and syrah (40%) grapes from the Tuscan vineyards of Rocca delle Macie. Crisp, light and refreshing, bringing together delicate floral aromas and ripe flavors of citrus and pear. A perfect match for seafood dishes. Power, refinement and ripe, mellow flavors are the hallmark of this fascinating varietal from the state of the art cellars of one of Europe’s most magnificent wine estates. Grape variety: Moscato and Zibibbo. Wine classification: IGT (Typical Geographical Indication). Wine making: Traditional destemming and maceration in steel tanks. Ageing in temperature-controlled steel tanks for 4/5 months. Aging: 4/6 months in temperature controlled bottles. Color: Gold with light green reflections. 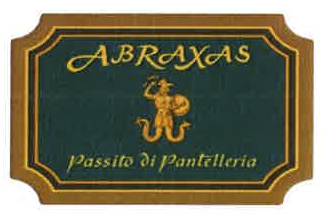 Perfume: Fruity and floral notes, which recall the scents, the colors and the warmth of Sicily. Taste: Thanks to its natural vivacity, this wine is characterized by an intriguing, intense and refined flavor, which recalls the land of its origins: rich and fertile. Food Pairing: The perfect wine for any occasion, both for aperitifs and to accompany meals. Thanks to its aromatic ensemble, it can be combined with smoke fish dishes, oysters and seafood. It is also suited to accompany fish soups and sauces or vegetables. Grape Variety: Nero d’Avola. Wine classification: I.G.T. (Typical geographical indication). Production area: North West Sicily, Gagliardetta. Wine making: Traditional destemming and maceration in steel tanks. Aging in temperature-controlled steel tanks for 4/5 months. Aging: 4/6 months in temperature-controlled bottles. Color: Garnet red with violet reflections. Perfume: Strong smell of sour cherries, cherries and black pepper. Taste: Very soft, delicate taste with intense notes of cherries. Tannin rich wine. Persistent after taste with aromatic notes. Food pairing: A perfect match with red meat and first courses with wild game sauce. We recommend to savour it with roasted tuna garnished with onions. Grilled vegetables enhance the taste. Grape Variety: Chardonnay. Wine classification: I.G.T. (Typical geographical indication). Production area: North West Sicily, Bruca. Wine making: Traditional destemming and maceration in steel tanks. Aging in temperature-controlled steel tanks for 4/5 months. Aging: 4/6 months in temperature controlled bottles. Color: Gold with intense green reflections. Perfume: Rich and intense. Peach, Golden apple, with figs, vanilla cream and merengue scents. Hazelnut notes and scents of orange flowers (Zagara) honey. Mild but well balance wood scent. Taste: Mild, round, lively and full bodied wine. Its balance is characterized by good acidity, fresh tanginess and compact extracts. Food pairing: Excellent with elaborate dishes of fish and shellfish, seafood and white meat. Grape variety: Chardonnay. Wine classification: I.G.T. (Typical geographical indication) Production area: North West Sicily, Castellamare del Golfo. Wine making: Soft whole bunch pressing, very slow fermentation at controlled temperature. “Prise de mousse” in pressure tanks with Charmat method. min. aging 30 days in bottles. Color: Straw yellow more or less intense color. Perfume: Vinous perfume, with intense fruity scent ranging from pineapple, apricot, peach and green apple. Taste: Fresh and pleasantly bitterish with a light texture. Food pairing: Perfect as aperitif with Prosciutto di Parma and honeydew melon hors-d’ouvre, it is ideal to accompany fish first courses. Product Description: Pure and prestigious feature. Precious and eternal as special instants in life. 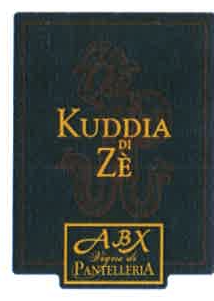 Rare and unique such as the Prosecco land, the gold Valdobbiadene. 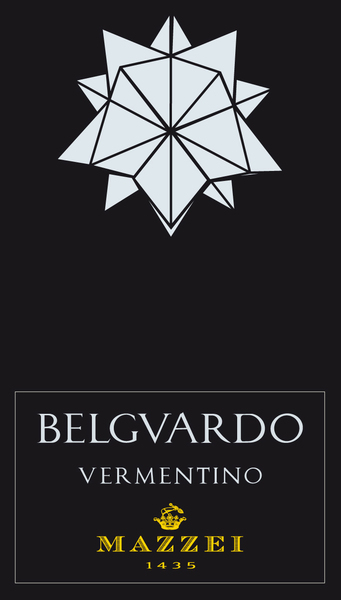 Production Area: Valdobbiadene hills. Soil: clay and calcareous. Grapes/Blend: Glera. Harvest Period: Manual Harvest during the second half of September. Vinification: Soft pressing and fermentation with selected yeasts at controlled temperature. Ageing: 5-month Charmat ageing followed by 3 months in the bottle. Color: Straw yellow color with gold bright reflections. Fine and persistent perlage. Bouquet: Typical floral with strong pear and Golden apple fruity aroma. Flavor: Refined, harmonious lingering aroma and sapidity. Appellation: Friuli Aquileia DOC Area: Cervignano del Friuli Grapes: 100% Refosco dal Peduncolo Rosso Type of Soil: At the Ca’ Bolani estate in the Aquileia DOC zone in Friuli, the soils (called “magredis”) share a remarkable similarity to the terroir in Bordeaux thanks to its alluvial origins, which has a mixture of sand and clay with layers of gravel. It therefore has the excellent ability to retain nutrients and then release them to the vines. Training System: Double Guyot Plant Density: 5,500 vines per hectare (2,225 per acre). On average, the vines are ten years old. Yield: 45 quintals of grapes per hectare Vinification: The grapes are harvested by hand and carefully selected prior to being placed in traditional vinification tanks, where fermentation takes place, followed by maceration on the skins for 15 days. The wine matures for 12 months in Allier oak barriques, followed by at least a further 6 months’ bottle aging. 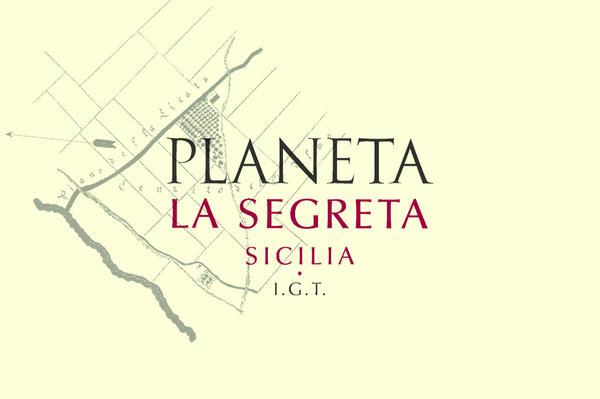 Appellation: Sicilia IGT Area: Province of Caltanissetta, Sicily Grapes: 100% Nero d’Avola Vinification: The grapes are harvested in the third week of September. The fermentation occurs for eight days at 82°-86°F. The wine matures for 12 months, 50% in 92-gallon tonneaux and 50% in 1,320 gallon oak barrels, followed by final aging in the bottle. Color: Bright ruby-red. Bouquet: The nose shows brandy cherry, rich plum and orange zest with notes of cherry blossom, cured meat and exotic spices. Palate: The palate is medium-bodied revealing mouth watering red fruit, wild mushrooms and espresso that lead to substantial and polished tannins. Beautiful graphite minerals linger on the long finish. Appellation: SALENTO IGT Area: The countryside around Torre di Santa Susanna on the Salento peninsula. GRAPES: 100% Fiano Vinification: The grapes are harvested when they are very ripe, then they are delicately crushed and the must is meticulously extracted. The traditional fermentation of this white wine takes place in stainless steel tanks at the controlled temperature range of 64°-68°F. Color: Brilliant straw yellow. Bouquet: Intense perfume with distinctly fruity notes. 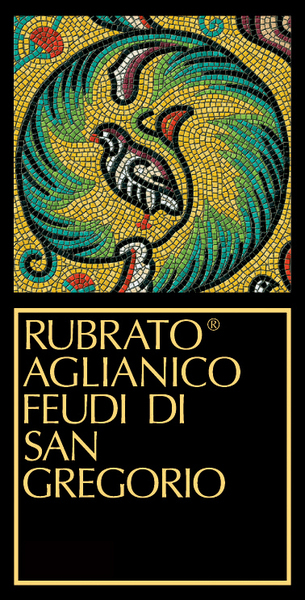 Palate: Fiano’s personality is characterized by appealing freshness combined with a rich, mellow texture. It displays pleasant sensations of peaches and apricots as well as of delicately scented flowers. Appellation: DOC AREA: Veneto DOC Grapes: 100% Glera Vinification: The must is obtained from gently pressed grapes. Half of the must undergoes an initial fermentation at 64°F while the remaining 50% is stored at 32°F as unfermented must. Following the traditional Charmat method, the must is combined and transferred into pressurized stainless steel tanks where the wine transforms into sparkling wine. Color: Pale, straw yellow with subtle green hues. Boquet: Beautiful mineral notes with white flowers and stone fruits. Palate: Dry with an abundance of almonds and fresh citrus notes.